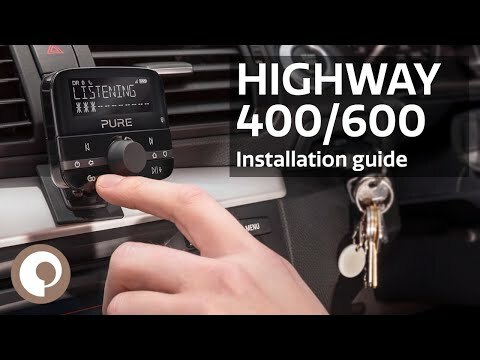 Designed as an easy-fit solution for the millions of vehicles on the road worldwide without digital radio, you’ll find Highway 400 easy to install in your car, you won’t even need any special tools, just a few simple steps and you’ll be up and running. Highway 400 works with your existing audio system using a simple aux-in cable or by transmitting over an unused FM frequency. 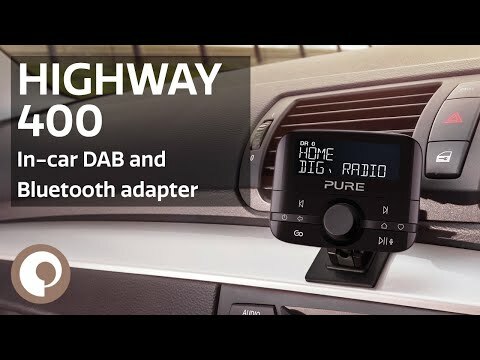 Consisting of a sleek wireless controller that can be fixed just about anywhere, and a discreet windscreen aerial and antenna, there’s never been an easier way to enjoy digital radio and music from your phone in your car. Set reminders, check the weather, traffic information and more at the touch of a button, without touching your phone. Speak directly to your phone’s digital assistant on your Android smartphone and hear the answer loud and clear through your car speakers. *Tagging available for a small annual fee. Your first 12 months free. For products manufactured prior to 13th June 2017 are compliant with the essential requirements of R&TTE Directive 1999/5/EC. For products manufactured on or after 13th June 2017 are compliant with the essential requirements and other provisions of RED 2014/53/EU. Compliant with RF exposure requirements EN 62479: 2010. 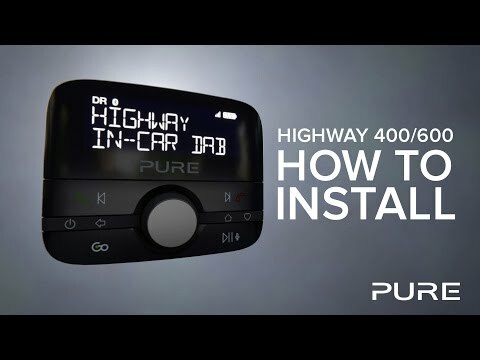 In many ways, Pure's new Highway 400 is ahead of the game...Sound quality was the best on test, as it never lost signal or crackled. How long does it take to fit the Highway 400? Our power adapters come with two USB ports so you can either charge your phone or plug in your Sat Nav at the same time. Can I connect my phone to multiple Bluetooth connections (i.e. existing hands free car kit and Highway 400)? You can connect you phone simultaneously to your car’s hands free and Highway’s Bluetooth music streaming. Can I tag any track on any radio station? If the music has officially been released you will be able to tag and identify tracks. What if my phone doesn’t have any reception, can I still tag tracks? Yes, you can tag the track and it will be added when your phone regains connection. Can I control all my Spotify content through the Highway? Yes if you are a premium Spotify subscriber. If you're looking for further support for your product please visit our support site.